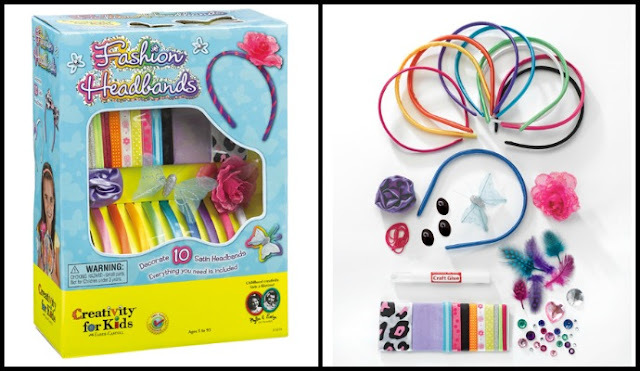 One Mom's Moxie: Creativity for Kids Review & Giveaway!! For as long as I can remember I have enjoyed arts and crafts. Through out school I was excited when we were assigned projects that required a lot of creativity. I even took a child development class and loved when we had to make story books or do art with the little kids. This love of arts and crafts has been passed on to my three daughters. So when I was sent not one but three Creativity for Kids crafting kits made by Faber-Castell, for my daughters to try, we were all thrilled! The first was the Mossy Meadows Gnome Garden. Normally I would have a photo of the actual box but my 12 year old, Kaylen, claimed this kit as hers and ran off with it, never to be seen again. She made the garden and it looks adorable.My daughter, Isabella, loves all things girly. So I thought the super cute Fashion Headbands! She made herself a cute little headband, I plan on making more with her very soon, the days have been so busy lately but it's important to get some fun creative time in together. The last kit we received was the Deluxe Glitter Art kit that my daughter Olivia scooped up. She thought the boxes that you could personalize were awesome and so do I! Olivia is very artsy so this type of Creativity for Kids kit is perfect for her. We know that we have a lot of artistic weekends ahead of us with these fabulous Creativity for Kids kits. I think it's funny that the kits say they are for ages 5 to 95 because it is so true! There are quite a few kits that you can purchase but honestly none compare to these ones. I can say that Faber-Castell know what they are doing and our house gives these 5 stars! Faber-Castell has been so generous to offer One Mom's Moxie readers the chance to win two awesome kits of their own. 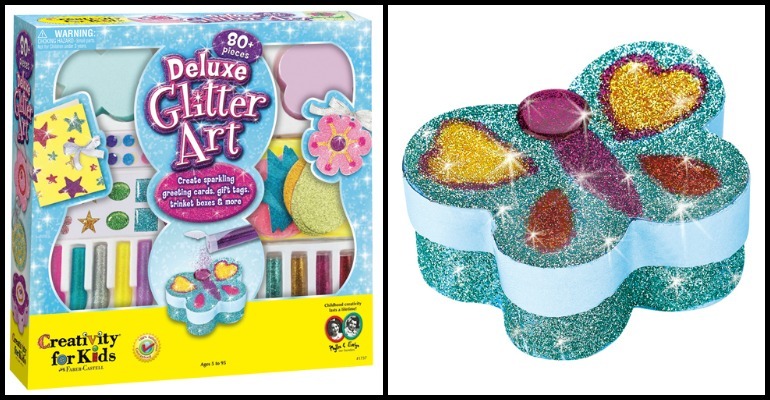 The same Deluxe Glitter Art kit and the Beach Buddies Shells Craft kit. Disclosure: By publishing this post, I received free products as part of a promotional program with MomSelect. All opinions are my own. The fact that they have a Boys Zone makes them awesome in my book. I love the robot kit http://www.fabercastell.com/creativity-for-kids/products/categories/boy-zone/ColorChangingRobotLight?page=1.